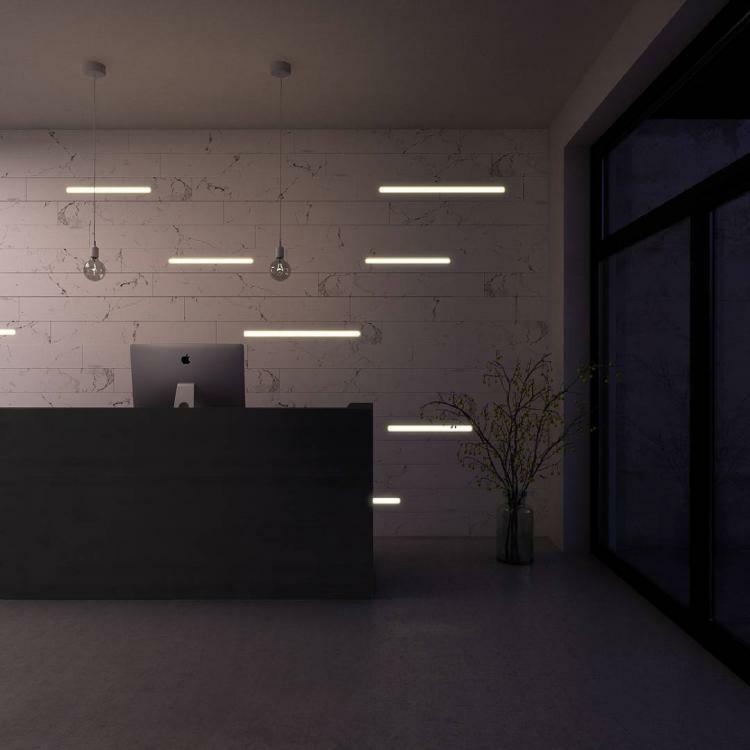 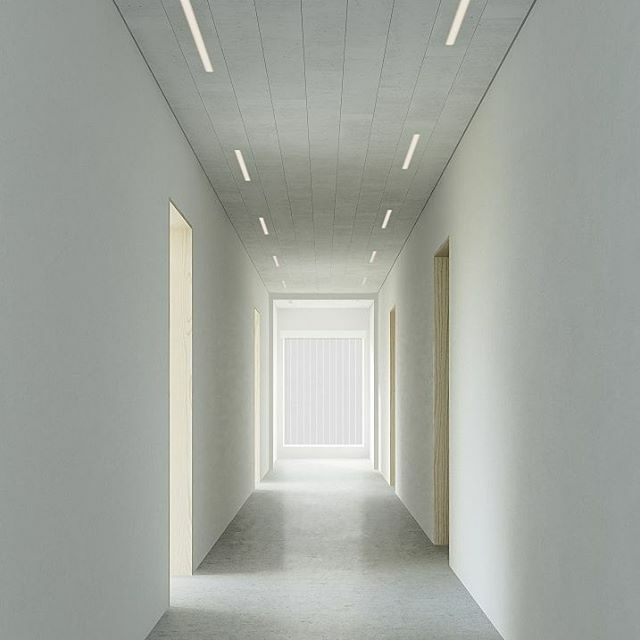 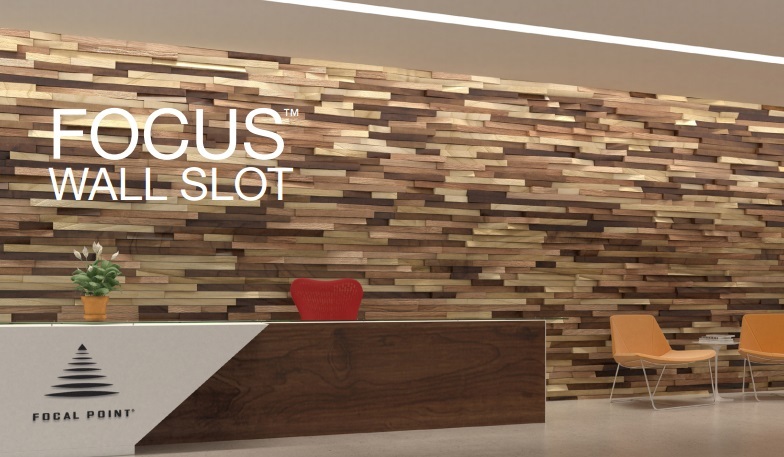 Focal Point’s Focus Wall Slot is a low-profile perimeter luminaire that fully conceals the indirect optics, creating the appearance of a floating ceiling while illuminating walls. Infinite lengths combined with the ability to create patterns with 90° inside or outside corners provide flexibility in design, bringing depth and visual interest to unnoticed areas of commercial spaces. 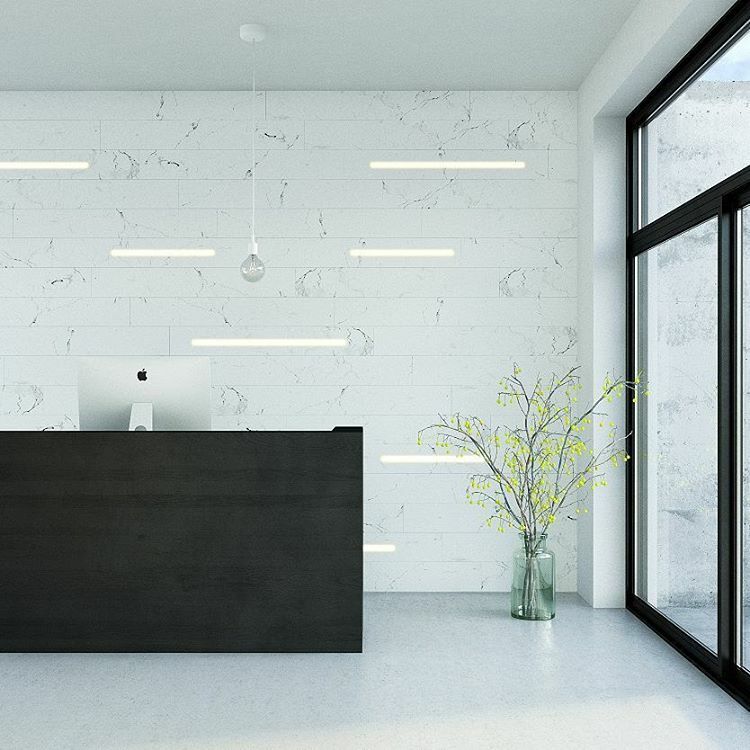 Designed for easy installation and maintenance, and to accommodate restricted plenum ceilings, the roughly 6-in.-tall rough-in steel housing contains a separate LED light module that can be snapped in at any stage of the construction process. 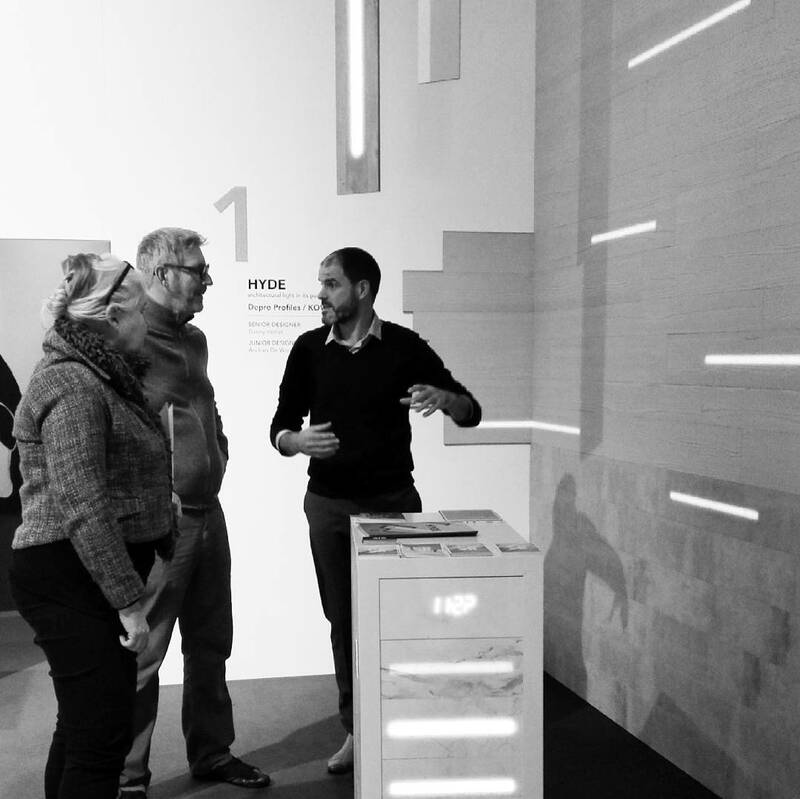 The housing assembly is engineered with built-in adjustability, accommodating variations in finished dimensions of the spaces. 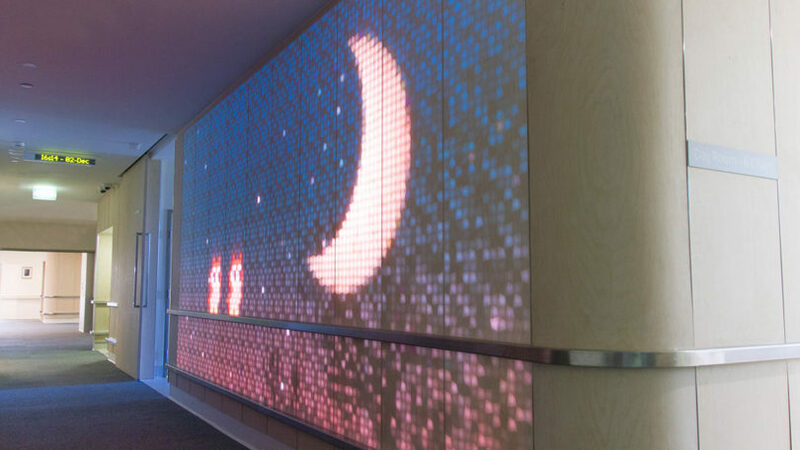 Various lumen outputs and color temperature options provide customization for various applications. 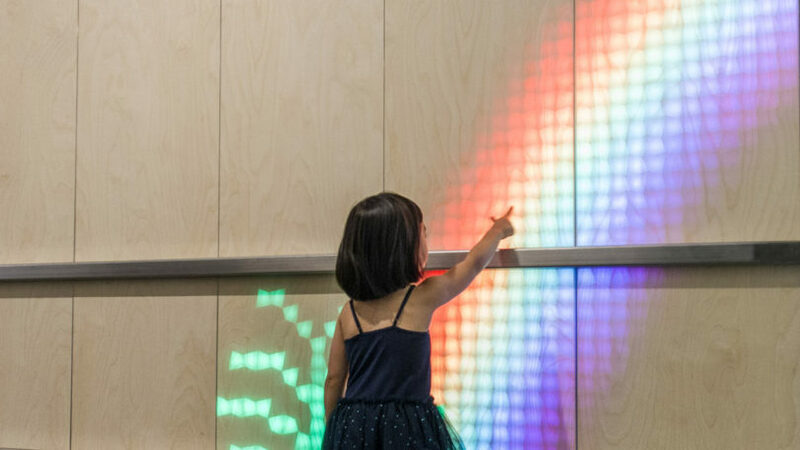 Meet the new interactive light emitting wall panel, bringing light, color and stories to any space. 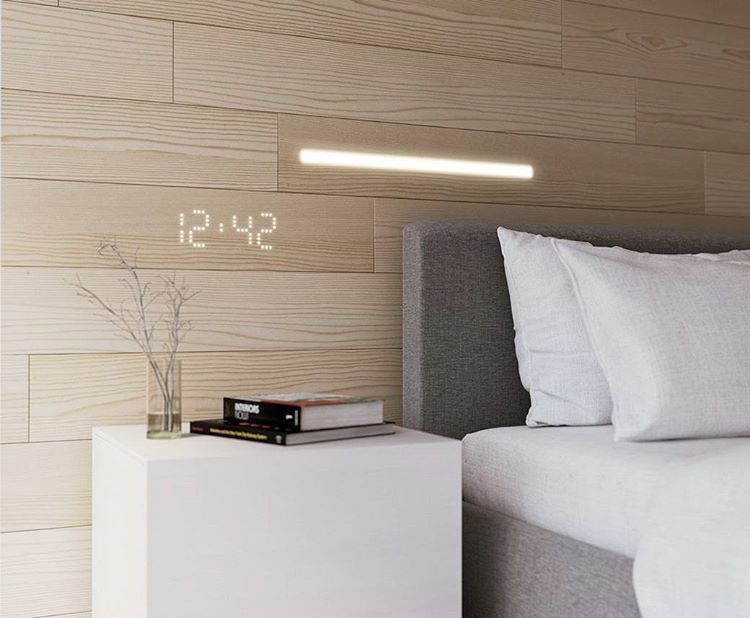 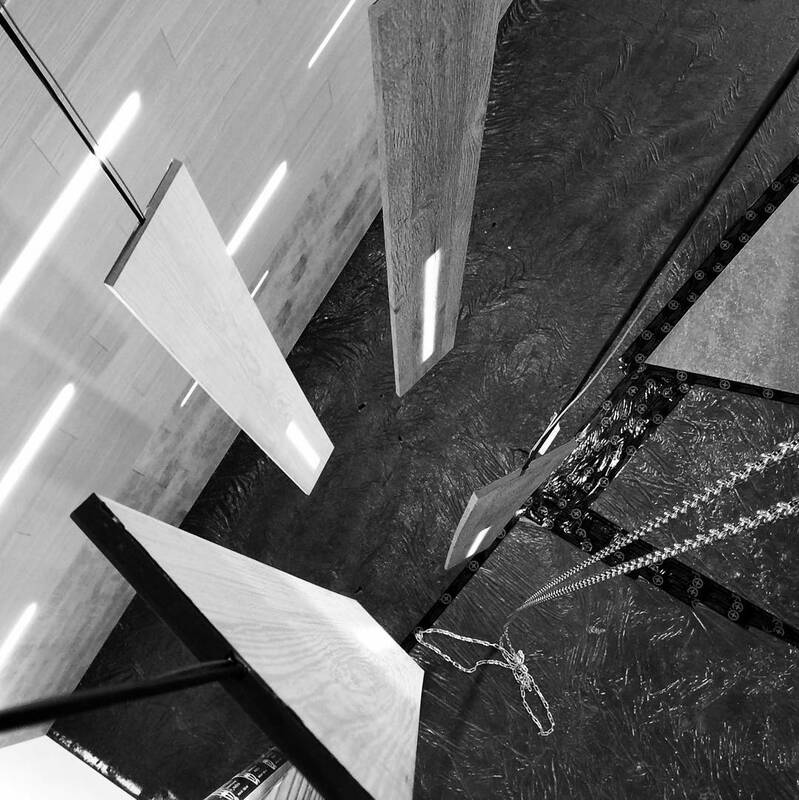 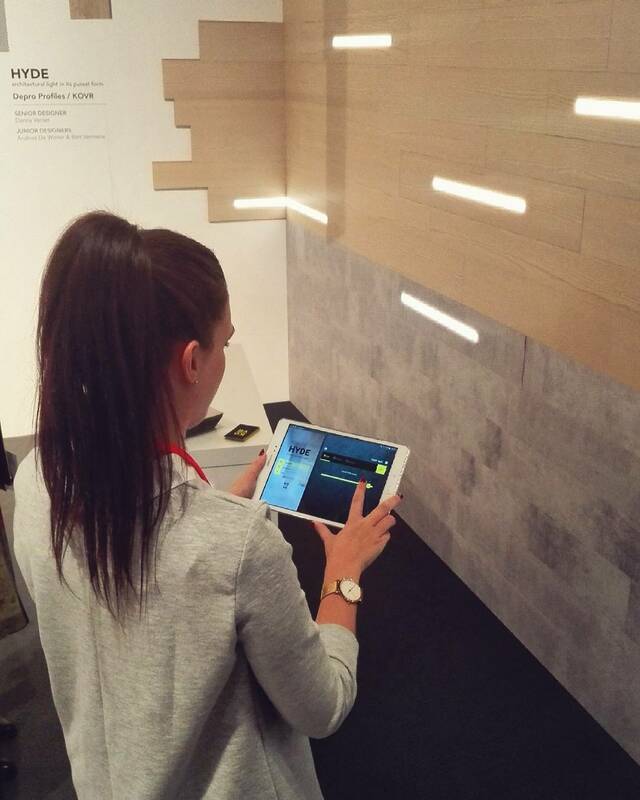 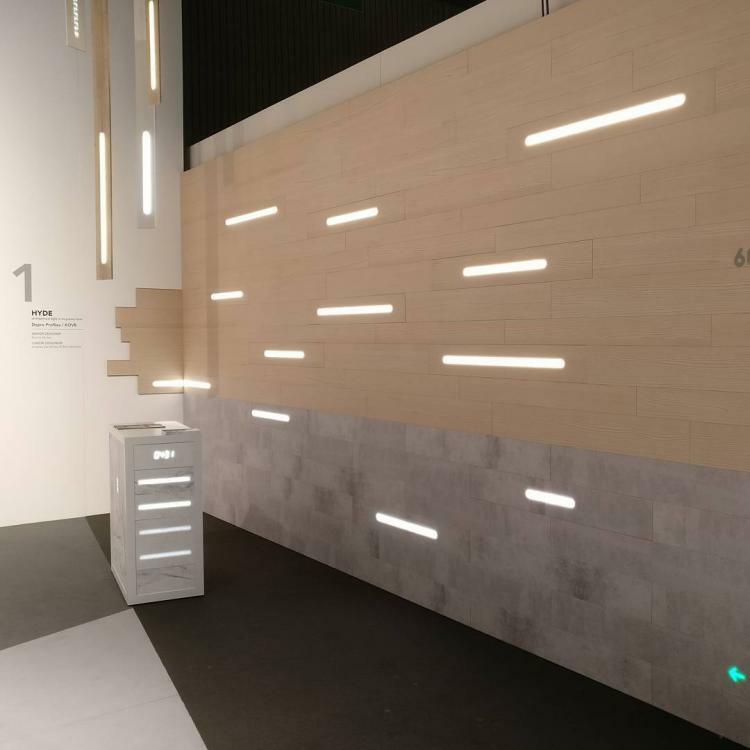 LUMES integrates into interior walls and comes in many surfaces that glow, from wood to wool. 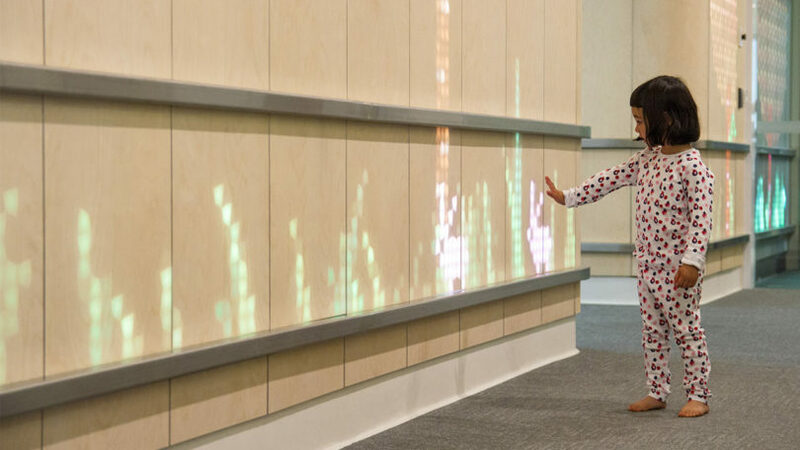 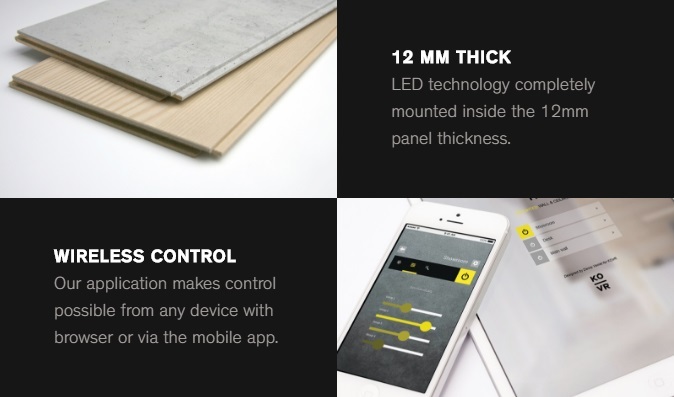 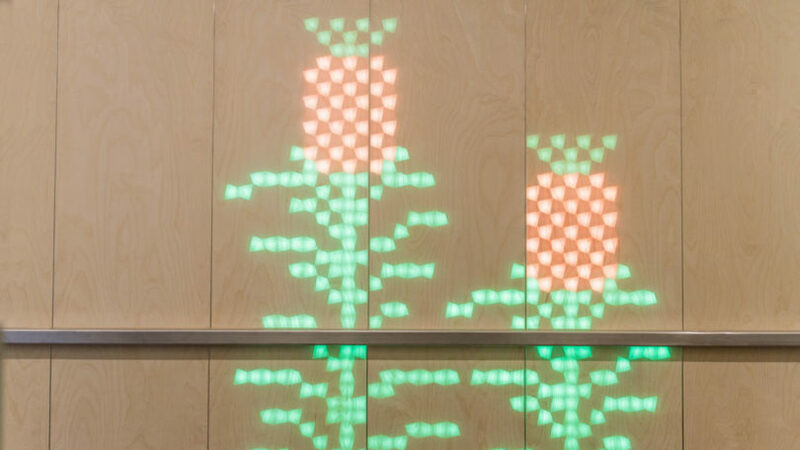 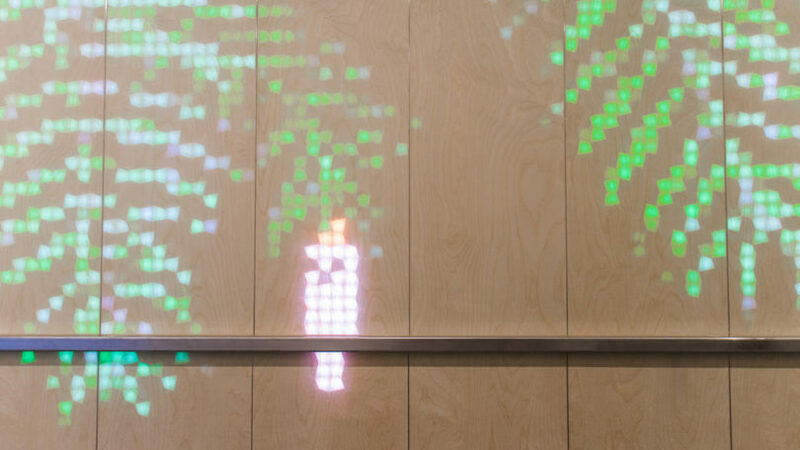 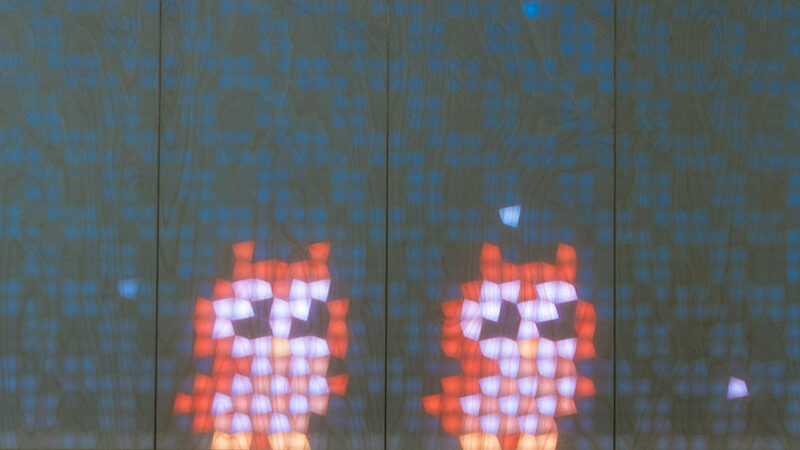 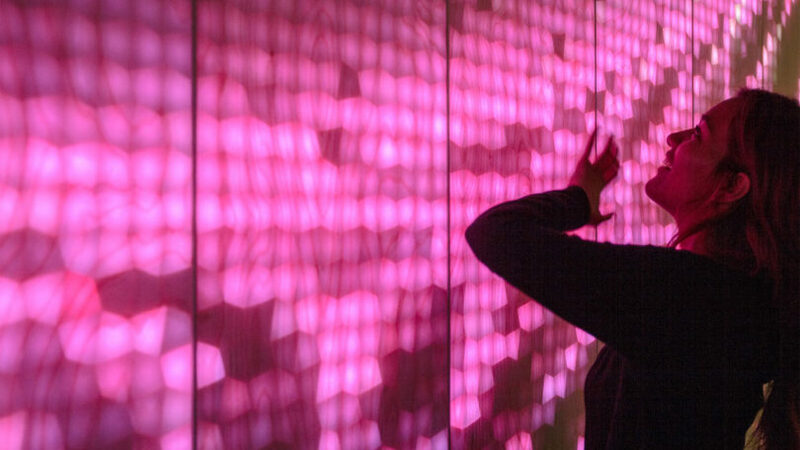 Each LUMES panel forms an animated interactive canvas that blends into surrounding interiors. 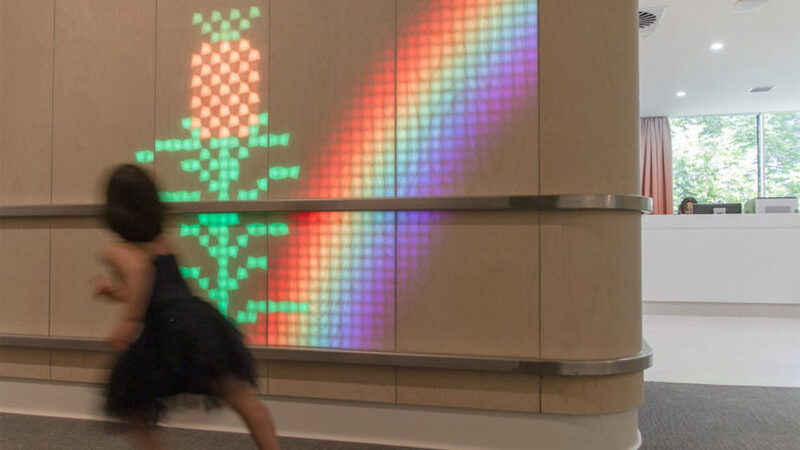 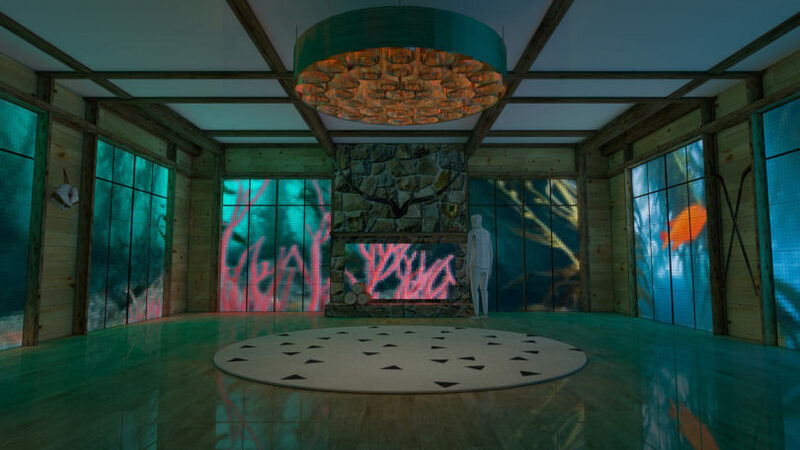 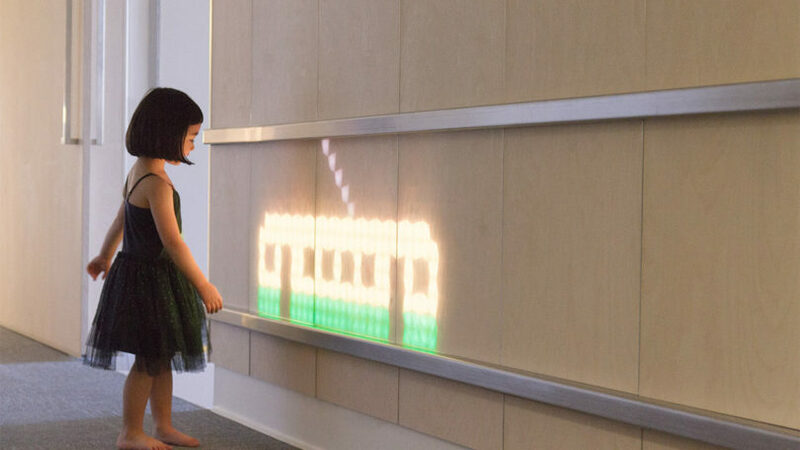 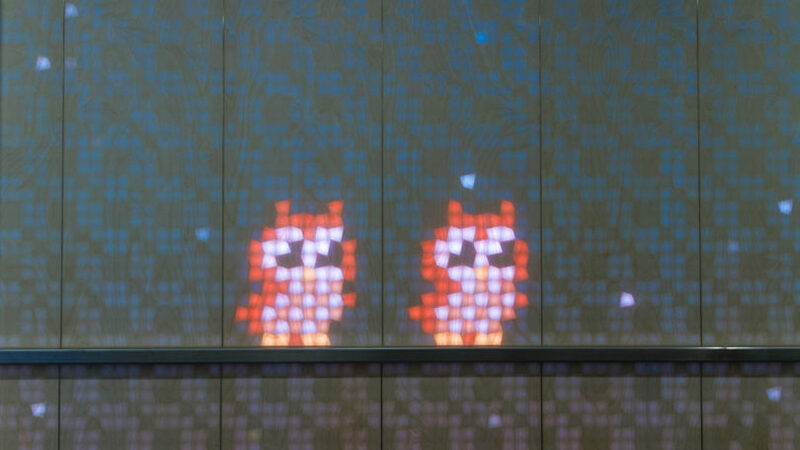 ENESS is combining art and technology and then throwing in some fun for their LUMES light-emitting wall systems, which are triggered by visitors who set off colorful, animated animals and landscapes. 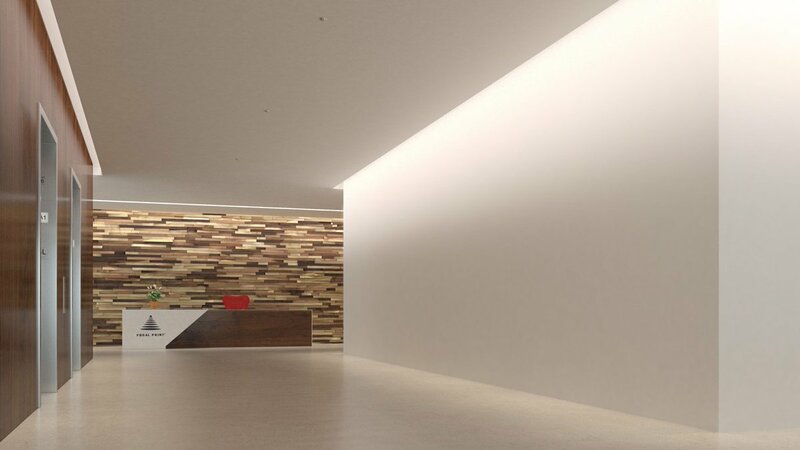 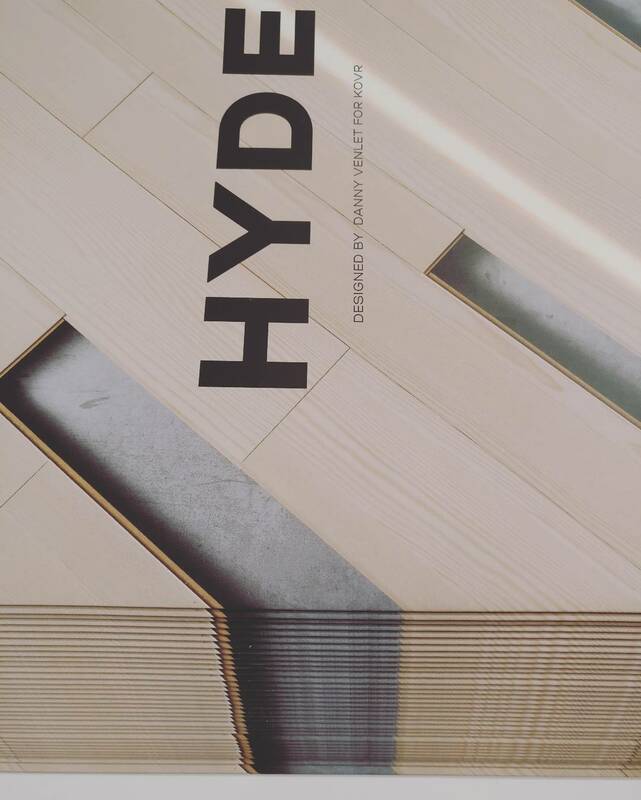 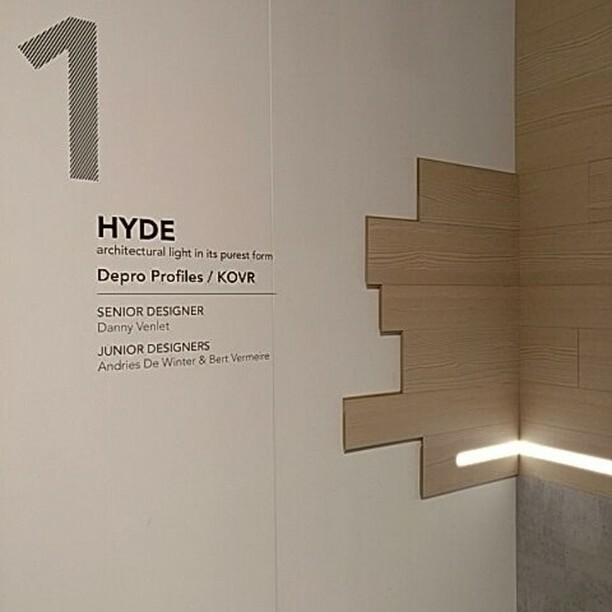 They’re starting with wood veneer but hope to expand the material choices to give architects and designers more options for a range of immersive environments.